Throughout your child's time in hockey, it is almost a certainty that you will be pressured on how you approach the game of hockey. From off season development opportunities to the type of equipment your player uses, other parents and program representative are going to offer you free advice on what your player should do to improve. Not all of them will truly have you or your kid's best interest in mind. The key to deciphering them is education. Use the resources provided by MN Hockey and USA Hockey to build a solid knowledge base and add to it by talking with a variety of people in your association and other local hockey associations. The only 6 words parents need to say to their young athlete. VOLUNTEER: The Association is run by volunteers so get involved. Do your part so 10% of the Association doesn't do 100% of the work. Set a good example for your children and show them the importance of volunteering. All families are required to work a minimum amount of hours each season. There are numerous ways to fulfill your hours: Be a team manager, sit on a committee, sit on the board, work home games and tournaments etc. Seek out your manager, a board member or rink staff for opportunities. FUNDRAISING: There are 3 mandatory fundraisers held each year. Sell or buy raffle tickets, poinsettia vouchers and the spaghetti dinner/silent auction. 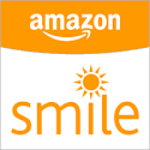 When shopping Amazon, use AmazonSmile and earn money for the Association. Each year the Association holds 3 fundraising dinners in which each team will have assigned duties to fulfill. SKATE SHARPENING: Is included in your registration. Place your skates with your card inside on the undone shelf. Skates will be moved to the done shelf once they've been sharpened. Not a rostered player? We are happy to sharpen your skates for $5.00. GAME SOCKS: 1 pair of game socks are included in your registration. See your manager if you need a pair. "Like" us on Facebook, check out the website, attend board meetings, watch for Association emails and become familiar with the policy book for information.